Update: Today is the last day to enter this contest — so if you want to win the goat farm, you’d better get writing! We’ve provided a lot of resources to help Penny Hoarder readers earn money from their writing. 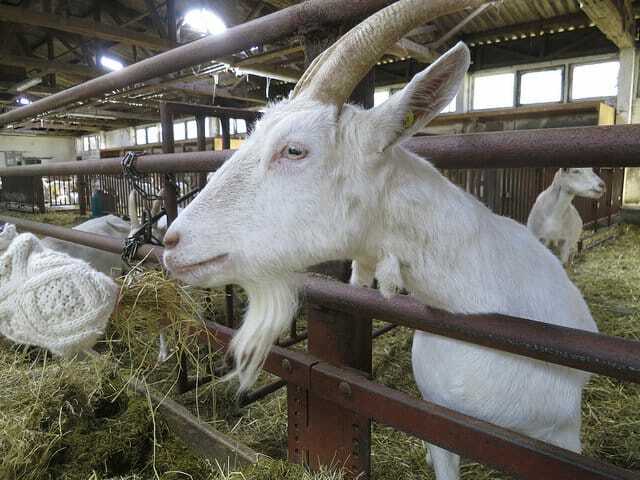 Here’s a new one for you: A couple in Elkmont, Alabama is ready to give their 20-acre goat farm — including 85 goats — to whomever writes the best application essay. Leslie and Paul Spell originally tried to sell their goat farm, but discovered that “most interested potential buyers couldn’t afford it,” according to Mashable. So they came up with a plan that would give people the chance to win the goat farm instead. The Spells created a website, Goat Dairy Essay, where you can learn more about the farm and the contest. If you would like to submit an essay, prepare 200 words on “Why I, or my organization, is the perfect fit to continue the farmstead goat cheese tradition.” 200 words isn’t a lot — it’s just about four or five paragraphs — so be prepared to make every word count. The contest runs through October 1, 2015, so you have plenty of time to draft and revise your essay. The Spells will select the top 20 essays and pass them along to three judges, including a representative of the Alabama A&M University Agricultural Extension Commission, to select the winner. If you’re the lucky new farmer, be prepared to pack your bags and move in right away; the Spells are ready to train you on the business of running a goat farm from November 1-15, but after that, you’re on your own. Before you enter the essay contest, make sure you’re willing to pay the $150 entry cost. The Spells are hoping to use the entry fees from their contest — which they anticipate will total $375,000 — to pay off their mortgage before passing their goat farm along to the winning essay writer. It’s pretty clear who the real winner is here: the Spells, who have found a truly innovative way of making money, paying off their mortgage and transferring ownership of 85 goats at the same time! Want to know more? Read the full story at Mashable. Your Turn: Do you want to enter this essay contest? Do you think the Spells have hit on an ingenious idea for making money and transferring ownership of their farm?